Apache Junction - Turning criminals into full-time firefighters is about to happen in Arizona after Gov. Doug Ducey and state lawmakers approved $1.5 million in funding to create a professional ex-con fire crew. Arizona Department of Corrections Director Charles Ryan said that inmates released from prison will be able to apply for a job with an all new hot shot crew. "This is a second chance for convicted felons, who are coming out of prison to do something meaningful, and it will earn them a good wage," said Ryan. Putting inmates on the fire line is nothing new for the ADC. For the past 25 years, the state has been using non-violent, low-level inmates to fight wildfires, as part of its inmate fire crew program. Kevin Boyle is one of dozens of Arizona inmates taking part in the Department of Corrections firefighter training program. "It's an amazing experience to be able to be incarcerated and to get this opportunity," said Boyle. "The feeling you get giving back, going to a fire, and saving a home - it's a great feeling." Brian Perrone is a crew coordinator with Arizona's Department of Forestry and Fire Management and heads up one of the inmate fire crews. He said the program has been extremely successful, giving inmates a solid work ethic while they give back to the community. "They are treated just like any other hot shot crews and engine crews," said Perrone. "They go through the same amount of training. 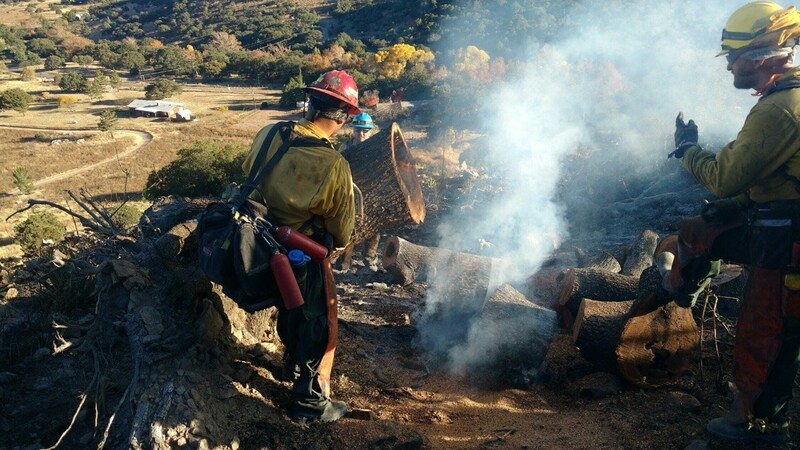 They are on the line - face to face with fire on the ground - cutting trees and doing everything that's done by a hand crew." The current inmate release firefighting program does have certain restrictions. The new ex-con fire crew program will also have specific guidelines. Gov. Ducey said the new program will protect taxpayers from long-term prison costs while improving public safety. Training for the new ex-con hot shot crew is expected to start in the next few months.